10GBASE T Switch: Stackable or Standalone? 10Gbase T Switch: Stackable or Standalone, Which One Is Better? 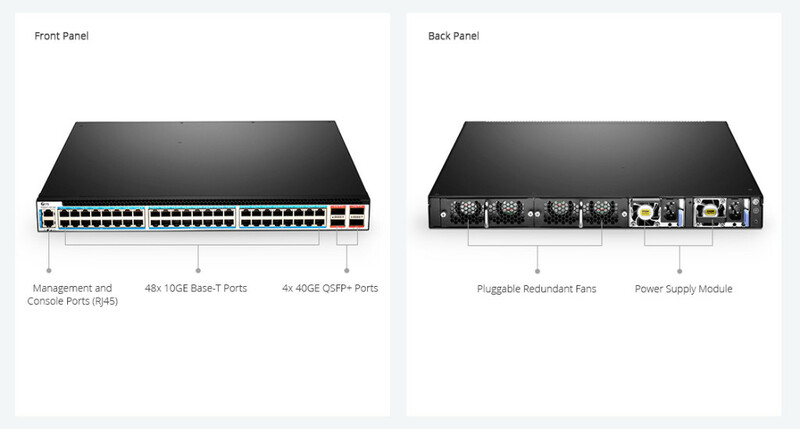 Referring to 10Gbase T switch, we usually think of standalone switch. However, you may also find some network switches are labeled as stackable in the market. 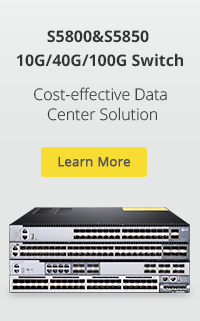 Then What does 10Gbase T stackable switch mean? And what’s the differences between standalone and stackable 10Gbase-T switches? Which one shall we choose for our network? What Are Stackable and Standalone 10Gbase T Switch? 10Gbase-T stackable switch can be set up in a group to work with one or other switches. These switches are combined through connecting certain ports. Wth stacking capability, 10Gbase T stackable switch allows the user to configure, manage and troubleshoot all switches in a stack as a single unit. Standalone 10Gbase T switch has no such function. Even some standalone 10Gbase T switches appear in a single unit, they must be managed and configured individually. To be noted, stackable switch can also operate as a standalone switch. 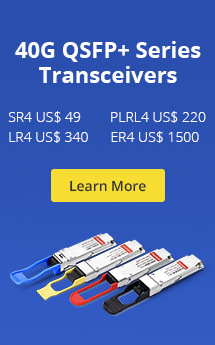 Should We Buy Stackable or Standalone 10Gbase T Switch? Ethernet switch is the most important device to receive, process and transmit data information in a network. At the same time, 10Gbase T switch is not cheap. Buying an inappropriate switch not only influences network data quality but also leads to cost waste. To select a 10Gbase T stackable switch or a standalone 10Gbase T switch, we should know advantages and disadvantages of each switch before making decisions. Some business choose to install stackable switches because of their advantages, for instance, simplicity, scalability, and flexibility. Since stackable switches work as one single switch, it’s easier to manage and set up the network. If we need to add more ports to current network, we can simply buy another stackable switch and add it to the stack. Although stackable switches have so many advantages, they still have some disadvantages. First, when one of stackable switches stops working, cable connections would fail and these cables should be reset or replaced. Therefore, we have to bring down the entire stack. Second, when lots of data transmitting over these switches in a stack, the speed of the stack ports and the ring architecture of the stack can cause bad influences. Standalone switches don’t have stacking ports, so they can’t be connected together to work like a single switch. That causes inconvenience to scale because we have to connect each switch to the distribution layer. For larger deployments, it would cost more. But standalone switches work well in small server room or data center. Unlike standalone 10Gbase T switch, stackable 10Gbase T switch works in different environments. As mentioned above, stackable switches can be combined into one single unit. So if you need to scale network, you can choose stackable switches which is more helpful to manage and troubleshoot. Well, I’d like to recommend another 48-port 10Gbase T switch to you. Cisco SG350XG-48T is one of Cisco 350X series switches which are truly stackable. It has two combo ports, one for copper and one for fiber. This switch can be stacked up to 4 units, 192 10Gbase T ports in one single unit. When combining switches into a stack, don’t just connect all these devices. Remember to make the stack work normally. It’s not easy to match all stackable switches. If you don’t know how, you should follow experts’ guidelines to do the configuration. FS.COM provide a full range of Gigabit Ethernet switch for your option. This entry was posted in Enterprise Network and tagged 10Gbase-T switch, stackable switch, standalone switch. Bookmark the permalink.